Having a beautiful wedding begins with right preparations. Once your fiancé proposes and both families agree on a wedding date, you start sending out your wedding save the dates. This is to inform the guests to attend your wedding. Making save the date invitations is interesting. It gives you the opportunity to insert a touch of your personality. Take this a free wedding checklist put together by us to guide you through and let’s create! Be careful with the layout and content of your cards. This is to make sure that all your guests will be comfortable receiving your invite.By the way, there are free save the date templates available online to help you. This also gives the guests an idea on your faith and how to tailor their wedding wishes. For instance, they’d send religious wedding wishes to a person of faith and simple best wishes to another who isn’t. To be sure of guests in attendance, send save the date cards to guests who live afar and those who have tight schedules. It will be hard for such people to cancel on you, because of the time they have put in. In your invitation cards, be straightforward about what you want at your wedding to avoid offending your guests. The save the date cards should say who and how many persons a card admits. In addition, the card must also state if the wedding allows pets and kids, if there is a dress code etc. If you have created a wedding website, include the link on the card. This will serve as a backup plan for update if there may be any changes. Also, guests can access it for more information and make sure to add ‘invitation to follow’. Of course, you want your wedding save date cards to turn out unique and durable! Here are some tips on how to pick the best wedding style that reflects your personalities as a couple. This style keeps the guestsawaiting. Moreover, it goes just perfect for beach and seaside weddings. This is the best option for couples who love nature. It is also ideal for a garden wedding. You get to send your guests plantable cards that can grow into flowers and last well beyond the wedding day. For durable wedding invites, the carved wood option is very advisable. Here you can carve the wood into different beautiful shapes. Your guests will love to hang it in their home afterwards. If you are a couple that loves traveling and might have a destination wedding, post card themed invites are your best option. Save the date invitation sticker is a winner, if you do not want your wedding date to be forgotten. This can be pasted on walls or visible areas in the house to serve as a constant reminder. This is another type of in your face reminder. This will be stuck on mirrors and refrigerators which the family frequents. The wordings of your invites should be personal to you as a couple. It should also reflect your personalities and the theme of the wedding. We can have fun making comic stickers, using 5.5″ x 5.5″ square invitation card. Then attach a 2.5″ x 4″ cartoon character sticker to it. It is possible to embellish it with twine, jumbo paper clips or washi tapes. No doubt, this will look very beautiful as calendar markers. We Included a turquoise and spring green cube like illustration and alphabets made from copper foil. Then we framed the alphabets with copper foil flowers. This is to establish the love for nature feel. We combine neutral colors on an opaque card. We then apply oversized fonts to give it a quirky look. A peach cotton ribbon and diamond shaped monogram tag gives it the ultimate finish. Unique save the date letterpress is made by joining two colors of art deco patterns. We will add a touch of purple to give the design a vintage look. We mixed serif fonts with the rose petals floral prints on the save the date card. We then bordered with geometric pattern to spice things up. This is a modern type of calendar marker with a vintage touch. It can be made an abstract floral pattern and decorated with cotton ribbons. Brown papers will be stuck on 4×5.5 or 5×7 sized magnets. You can attach your pictures and write your date using Arial or Verdana fonts. These are calendar markers with beautiful dimensions. They are made from recycled brown cards, colored raffia, fancy floral stamps and different fonts. i.e. Plant fonts, fanfare bold, ugly aqua fonts etc. Made from vinyl, sticker material and transfer paper. This save the date invite is a unique calendar marker. This is one of the most beautiful save the date Ideas. You can make this using; vintage inspired paper style with dolls on it, reusable adhesive fabric and a rubber stamp. This combination leaves you with beautiful calendar markers. Employing electronic save the dates method for your wedding is cheaper and modern. It also helps you reach more people while to leave your personal touch on your invite. There are plenty of digital save date methods and we are going to check out the most favorite ones. Wrap it up under a minute. Apply a style that suits you as a couple and theme i.e. roses for romance, hearts for the lovey-dovey feel etc. Make the venue address precisei.e. the town, so that those who live out of town can have an idea and plan in advance. Add your wedding date, since it’s the main aim of the video. This is one of the very personal save the date ideas. It is original and let’s your guests in on your story, telling it in your own style. In general, infographics include basic templates or others types, such as the mint wedding save the date template. This is flexible and can fit into a range of themes. In addition, you can customize the template with your love story, pictures, wedding dates and other information. You can send it as a PDF file after you’re done and print. One of the fastest ways to make online invitations is by using the templates. And there are many free save the date templates on which your own cards can create your own cards. You download a plain or already embellished (rustic, chalkboard, floral, chalkboard) template. You put your names, wedding dates, venue, pictures and even a short text if you want. This then opens as a PNG file. Creating save the date invitations through e-mail is a good idea. Choose a template, alter the layout, colors, fonts and pictures to make it personal to you. Import your guest list through your address book onto the template. Fix your wedding date and venue and if you wish, photos of you two and the website link. Recheck mails you want to send messages to before sending them, to reduce mail bounce backs. Make your Instagram save the date cards simple and brief. It contains a background picture of the couple, names and venue. Now you can just upload it to your insta account and share it with the guest list. The DIY save the dates is original, stylish and oozes of personal touch. Here are some DIY and unique save the dates that we have recommended for you. This invitation keeps the date in your guest’smemory. It is always there whenever they look at the calendar. This is for couples who love life and live it to the fullest. This is a unique save the date option to get the guests excited about the fun and partying to come. Couples who love traveling can apply this save the date ideas. This is perfect for a destination wedding. For geeky couples, this is ideal. If you’re fortunate to have geeky people in your circle, best bet they’ll never forget your date. This is for couples who love to play word puzzles. They will have fun sending out invites and keep their guests reminded, by getting them to play the word game. For couples who want attention, you can pour some glitter in the save date cards. As it sprinkles everywhere and they have to clean up, your name will be on their lips. Confetti invites adds some fun to your wedding. It also helps ensure that all colors match your wedding theme. These DIY save the cards embedded with seeds are for couples who never want their guests to forget them. They are forever remembered even after the wedding, as the plant grows. We encourage couples who want to make their guests feel like VIPs. They can reflect this by issuing the guests exclusive invite tickets. Couples who love to read will find this keepsake unique. This is used if the couple is saving dates long before the time is due. Guests will remember the wedding dates, whenever it pops up in their reading materials. Being too rigid with the content of your save date invite. Leaving out your last names. Failure to send main invites, whether your guest will be available or not. Not providing adequate information to help guests prepare. Putting down registry information on save date invites instead of the website. 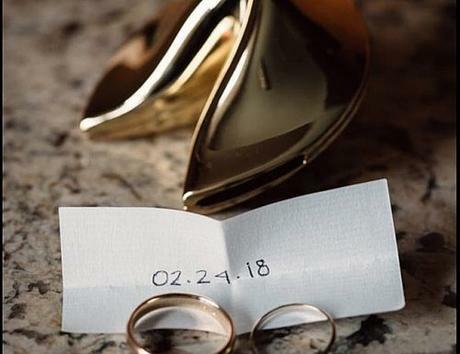 All in all, wedding save the dates are very unique as they give you a roomfor creativity. You are also allowed to make some sample wedding vows for your Big Day. And if you start anything with a right movement, as a proper save the date card, then it’s likely that every part of your wedding will go smooth!